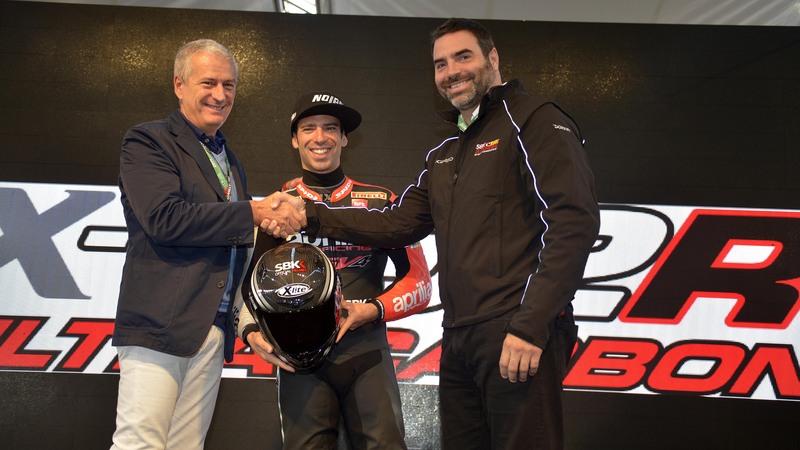 At the Paddock Show of the Nevers Magny-Cours racing circuit, playing host to the penultimate race of the 2014 Superbike World Championship, Nolangroup presented today the new X-802R ULTRA CARBON Superbike Official Helmet. On the stage were Marco Melandri, Alberto Vergani (Nolangroup) and Marc Saurina (Dorna WSBK). This launch also provided the opportunity to show an international audience the new Nolangroup film entitled: “Ultralight test”. 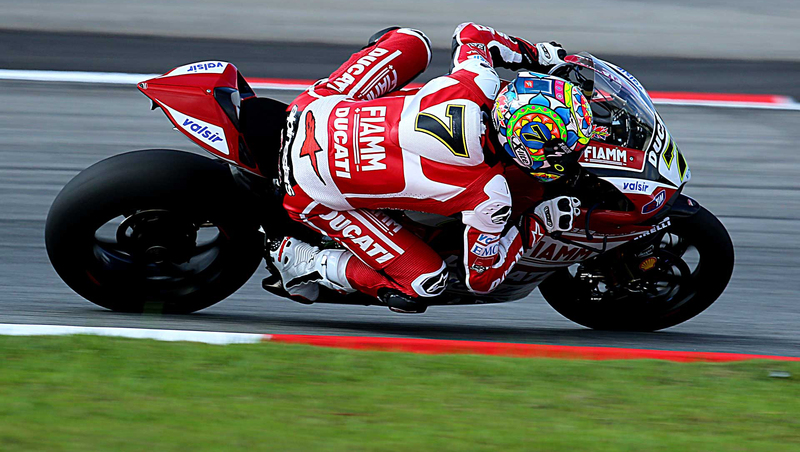 In racing scenes filmed from the ground and the air, the elite riders Marco Melandri and Carlos Checa appraise the performance of the X-802R Ultra Carbon helmet. X-802R ULTRA CARBON is a model specifically designed for riders who love the racetrack and the high speed just like real Champions. The shell -ultralight and high in carbon fibre- is available in three different fits for the six available helmet sizes (XS-S / M-L / XL-XXL). X-802R ULTRA CARBON features a removable inner UNITHERM padding and offers unrivalled levels of “racing” comfort. The removable cheek pads in the highly successful STEADYFIT configuration provide once again excellent comfort even under conditions of substantial pressure on the cheeks -which is essential for keeping the helmet steady even at high speeds during track use. The cheek pads are also available in differential thicknesses to ensure the best possible fit. An innovative adjustable aerodynamic spoiler is integrated in the rear part of the shell. The product of extensive wind tunnel testing and vast racetrack experience, the new spoiler optimises the helmet’s aerodynamics during riding, improving stability at high speeds and helping the venting of hot air from the interior through outlet vents integrated directly in the spoiler. Its profile, and thus its aerodynamic performance, can be adjusted to one of two available configurations to better suit different riding positions and styles.